Today, we are presenting you not one, but two microbes! A sulfate-reducing Archaea and a spindle-shape virus! 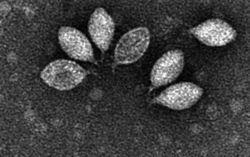 SSV1, which stands for Sulfolobus spindle-shape virus 1, is very specific and infects only a few strains of Sulfolobus. It was isolated from the Bebbu hot springs in Japan. Spindle-shaped viruses have only been isolated on Archaea so far. Viral and prokaryotic (bacteria and archaea) genomes greatly vary in size. 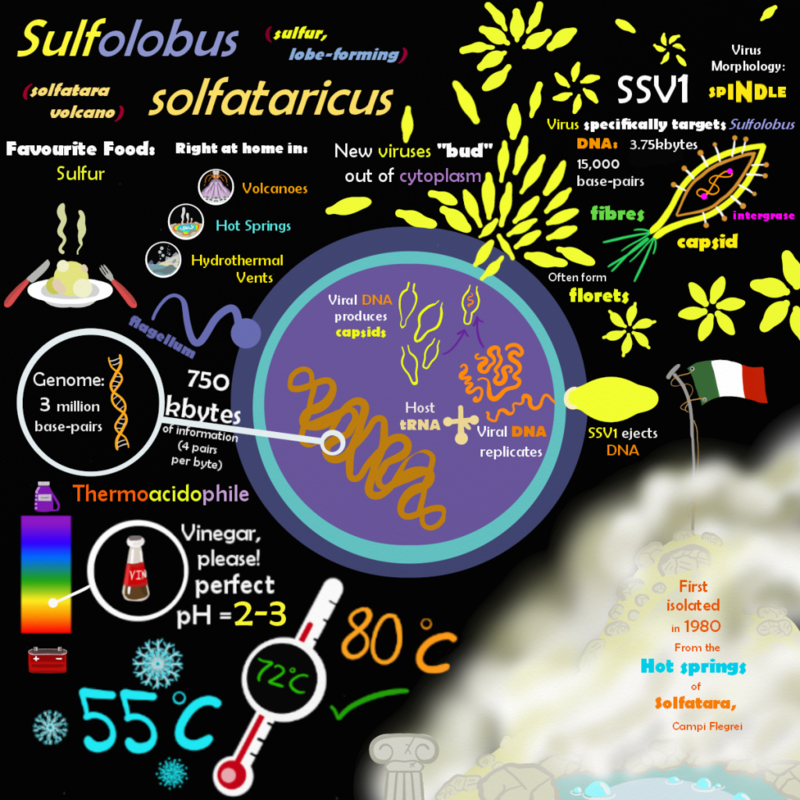 For example, Sulfolobus solfataricus genome is ~ 3,000,000 base pair long, while SSV1’s is ~15,000 bp. If you compare the genome sizes to text files, the archaeal genome would correspond to a 750 kbytes file while the viral genome would be contained in 3.75 kbytes. Think about all the differences in information content! See you next Monday to learn more about the fascinating world of microbes!